Discussion in 'Events and Activities' started by Teresa, Feb 19, 2015. The Florida Wildlife Corridor Expedition team will hike, bike and paddle their way more than 900 miles across the heart of Florida on a 70-day long journey. Conservationist Mallory Lykes Dimmitt, Biologist Joe Guthrie and Photographer and National Geographic Explorer, Carlton Ward Jr. will make the journey from the Everglades Headwaters in Central Florida, across the Panhandle to the Alabama border. Join the Florida Wildlife Corridor Expedition team and the E.O Wilson Biophilia Center for a fun, kid-friendly "Black Bear Affair"! Tour the interactive nature center, take a guided hike, and join in on bear themed arts and crafts, such as casting bear tracks! Trail Mixer Location: E.O. Wilson Biophilia Center (4956 Florida 20, Freeport, FL 32439) Time: 10:00 a.m. - 3:00 p.m.
For more information on the E. O. Wilson Biophilia Center, please visit their website: www.eowilsoncenter.org *Please note: The E.O Wilson Biophilia Center charges a general admission entrance fee: $8 Adults, $5 Children, 2 and under are free. 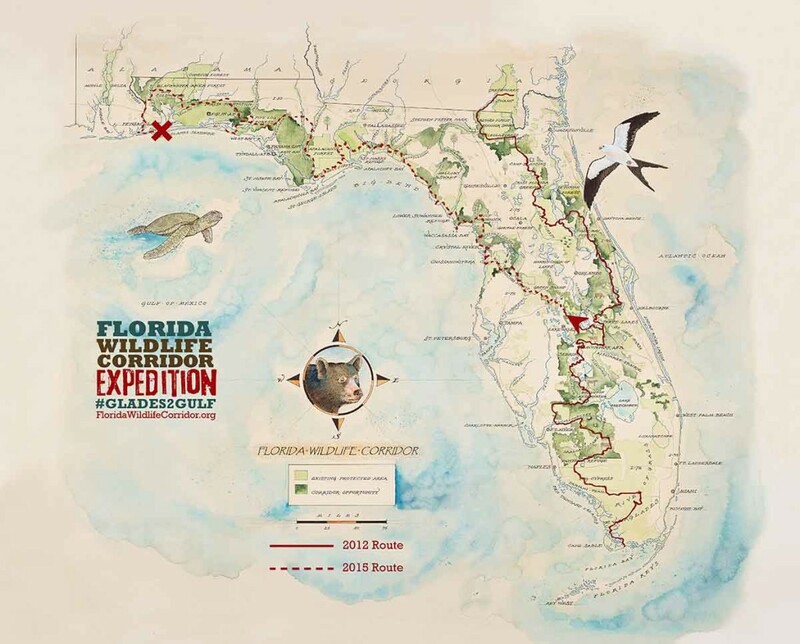 Read more about the Florida Wildlife Corridor Expedition online and find out about more events along the 70-day long journey. Follow Florida Wildlife Corridor Expedition #GladestoGulf on Facebook.